By Kristi · 44 Comments · · Disclosure: This post may contain affiliate links. Using an affiliate link means, I might earn a commission from any purchases through that affiliate link. The lazy days of summer and spending every second outdoors are fast approaching! 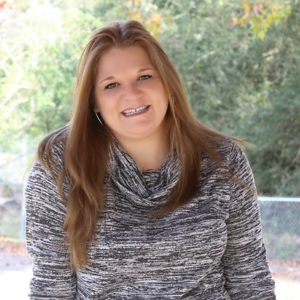 With summer focusing on everything outdoors, our cooking style changes and long gone are the days of me standing over the kitchen stove making a fantastic meal for my family. This summer will be all about the smoked ribs and technology advances are helping me take care of that with the newly designed electric smokehouse cookers like the one from Masterbuilt. There really is no need to babysit dinner anymore during the summer months with the Masterbuilt Electric Smokehouse! Simply add wood chips, set the timer and enjoy fun in the sun with your family until dinner is ready! As you all know, I’m all about saving time in the kitchen and managing life easier every single day. With the Masterbuilt Electric Smokehouse by my side this summer, life will definitely be easier and make my summer days much tastier! Last week, the boys and I (who have never used a smoker before) put our “mad smoking skills” to the test. 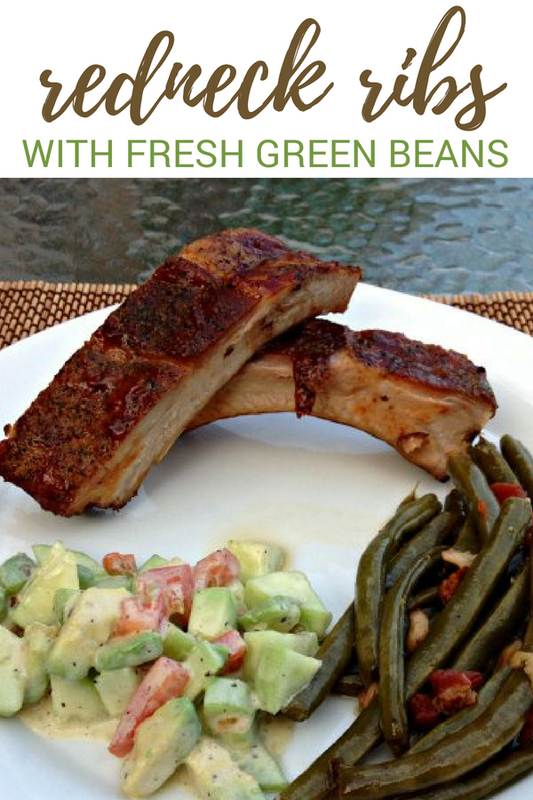 We were all craving perfectly smoked ribs and fresh green beans! With my husband out of town at the time (he does all the smoking), we tackled dinner and enjoyed time basting in the sun by the pool while dinner was cooking for us. Being able to not worry about dinner and enjoy my family is a huge selling point for me. Let’s face it my boys are NOT getting any younger. They are 9 and 12 years old right now and I only have a few more years with them in the house. If the Masterbuilt Electric Smokehouse can save me time so I can spend that time with my boys, then you can sign me up! 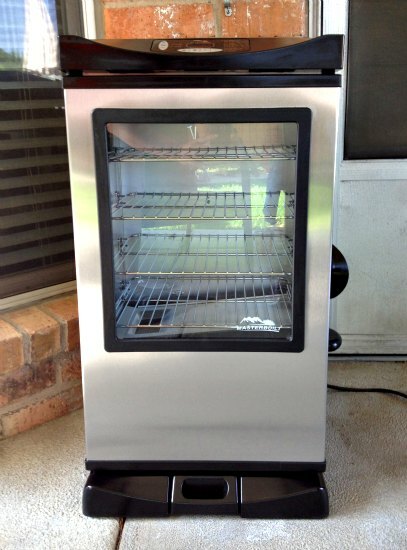 The simplicity to use the Masterbuilt Electric Smokehouse propels the art of smoking to the next level. 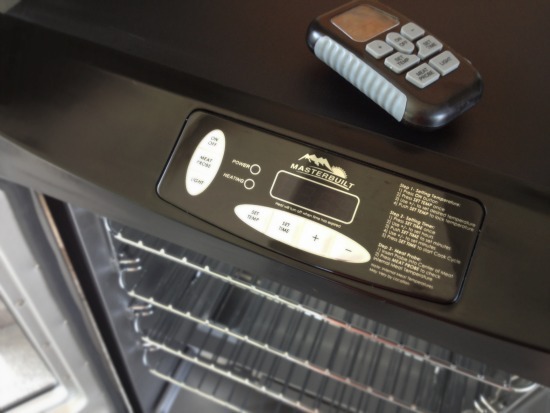 With the simple push-button start at your fingertips to the internal lighting in the front and the convenience of seeing your food as it is going through the smoking process…using this smoker really is as easy as grilling. 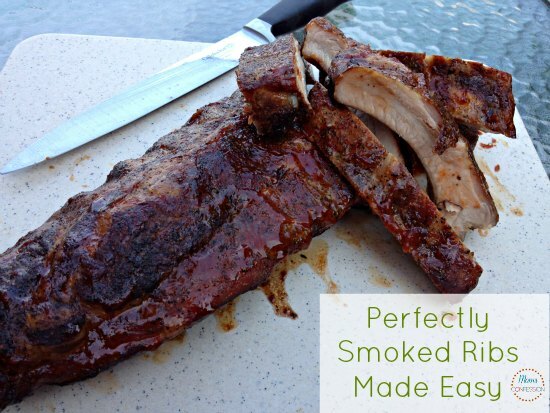 To show you how easy it is to smoke BBQ in the Masterbuilt Electric Smokehouse, I have the best tasting recipe for Redneck Ribs to share with you. These ribs have been taste-tested and approved by our family. 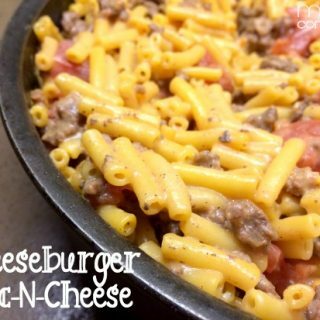 You can find this great recipe below along with many others in John McLemore’s cookbook, Dadgum, That’s Good, Too! The best part of my first smoking experience…I smoked dinner without any real effort and the kids got to jump in on the action! Add smoker chips to your smoker tray. My recommendation is to use hickory smoker chips. Preheat the smoker to 250°F. In a medium bowl, combine salt, pepper, onion powder and garlic powder. Rub the mixture on the ribs. Place the ribs on the middle rack in smoker and smoke for 1 hour. In a small saucepan over medium heat, combine ketchup, apple jelly, steak sauce and brown sugar and heat until well blended. Remove the ribs and baste them with the homemade barbecue sauce. Double-wrap in heavy-duty aluminum foil and return them to the smoker. Smoke the ribs for another 2 hours or until tender (internal temperature should reach 165°F). Remove the ribs and baste them with more sauce and serve! 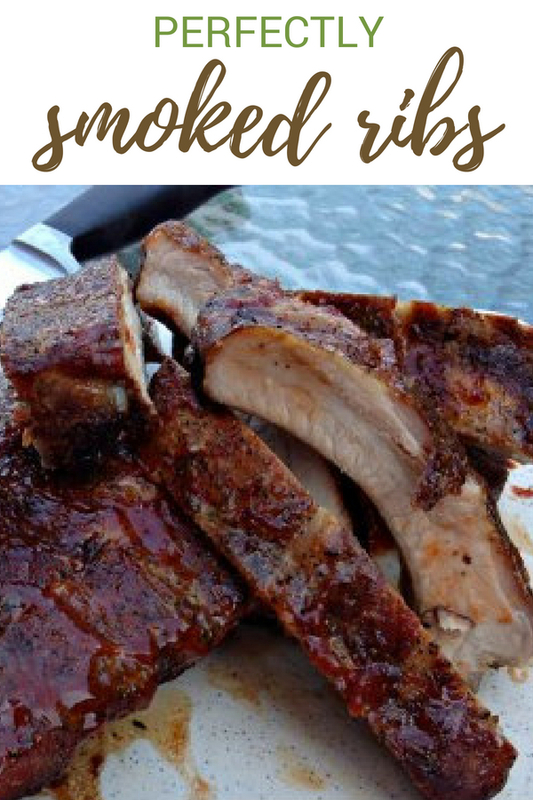 Print the Masterbuilt Smoker Recipes: Redneck Ribs recipe below. Add smoker chips to the smoker tray. My recommendation is to use hickory smoker chips. Place the ribs on the middle rack in the smoker and smoke for 1 hour. Note: *if the barbecue sauce is too sweet for your taste, add 1½ tablespoons mustard and ½ tablespoon cajun seasoning. 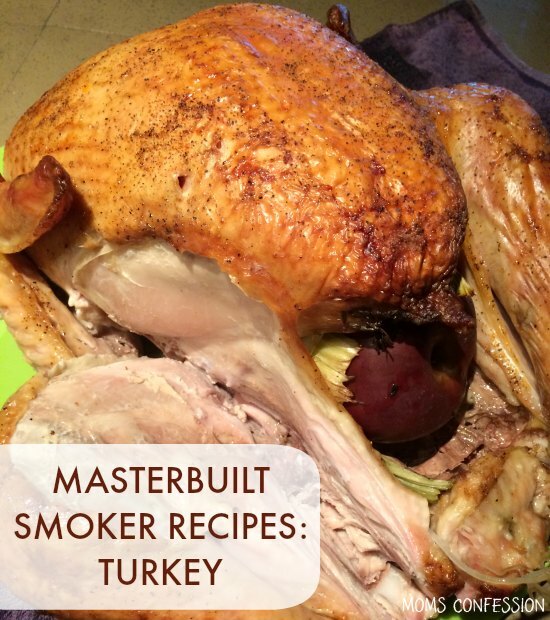 If you’re looking for more Masterbuilt Electric Smoker Recipes, try this Perfectly Smoked Turkey! 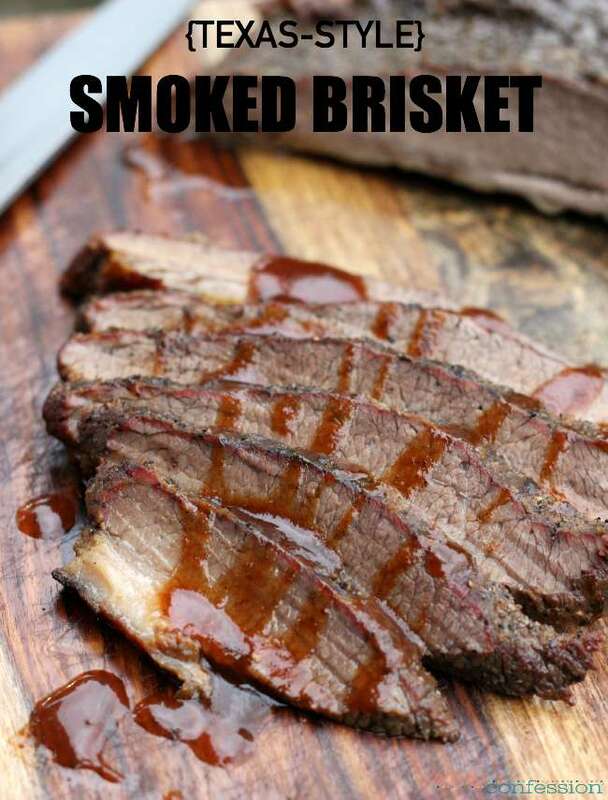 If you love a good brisket, you should try this amazing Smoked Brisket Recipe too! 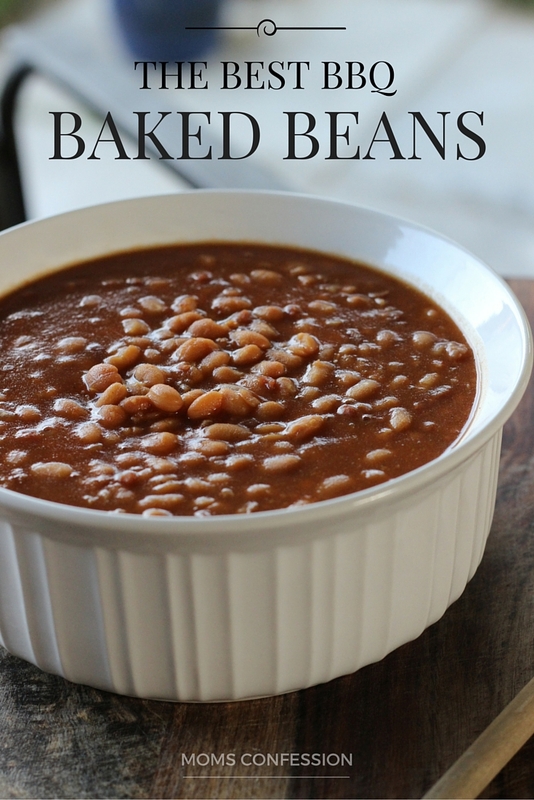 Serve up these Masterbuilt Smoker Recipes for smoker ribs, turkey, or brisket with a side of these scrumptious home-made baked beans. I also had the opportunity to meet with John McLemore and his wife, Tonya earlier this week at the KHOU – Great Day Houston Studios in Houston, TX for a little Q&A. Stay tuned next week to learn more about John and his recipes in Dadgum That’s Good! and Dadgum, That’s Good, Too! Do you add wood chips when preheating, or later? Do you place the ribs bare on the racks at first, then wrap in foil later? Great questions Bret! With the Masterbuilt Electric Smokehouse, I add the chips and ribs together at the same time…no preheating for me. As for placement of the ribs, I find that wrapping them in the beginning keeps the juices trapped into them making them moister. For the last 45 minutes or so, I remove them from the foil and they taste delicious! I started out using water in the water pan then started experimenting with different liquids. I find that apple cider vinegar works very well with smoked ribs. In fact I use apple cider vinegar quite often. The recipe you have is full proof. All I did differently is add the vinegar. Thanks for the tip Cary! I’ll definitely try that next time. first time user here… what kind of chips do you use, and you always have to have chips in the smoker at all times right? there is also a pan in the bottom, should there be water in this pan while cooking? Thanks for stopping by Paula! We usually use mesquite wood chips that can be found in the charcoal aisle at most stores. As far as keeping chips in the smoker at all times, we only fill the container on the smoker once when we first start cooking the ribs. They flavor is smoked in within the first hour and then you are cooking after that. I actually fill the water pan at the beginning of smoking anything in the smoker simply because it helps keep the moisture in the meat. Hope you first experience using your Masterbuilt Smoker is a success! If you are making jerkey I would suggest NOT using water in the pan. Especially if you like the type you like to rip apart. Thanks for the tip Mark! Thanks for stopping by Dave! There is no need to soak the chips beforehand or even put water in the pan with them. Can i do any of the smoking the day before or does it all need to be done at once? Having a big party and would like to get as much done as early as possible. I don’t see a problem with smoking the day before at all Charlie. We have smoked brisket before then wrapped it in saran wrap to reheat it in the microwave. I’ve never tried reheating in the oven, but you may be able to do that as well. Have fun at the party! Is it safe to use foil? Yes you can use foil Janice! It helps to keep moisture in the ribs, but I would not add it until after 30-45 minutes so you can get the smoke flavor into the ribs. I smoked a two huge brisket s for a party and only used one. I wrapped it in foil and froze it. A month later I thawed it, warmed it in the oven and had a easy Christmas gathering. Do you add foil before , or after . It seems to have 2 answers. One says first hour and second says after an hour? After much trial and error, I’ve found that adding the foil after the first hour is the best way to get the smoked flavor into the ribs. Sorry for the confusion. thanks for the recipes, just got a smoker and want to get smoking! Do I need to marinade beef ribs over night before I smoke them or does it matter. Hi Bryan! I personally don’t marinade overnight, but I try to marinate them at least an hour before the smoking process. Should I broil my beef ribs for a few minutes to give them a little “crust” on top before smoking them? You shouldn’t have to do that because they will form their own “crust” when they are smoked. Hi Kristi, i really like your bbq sauce recipe. Ive never tried adding apple jelly before. I will give it a shot. We love our master built electric smoker. I smoked 40 chicken legs and the flavor was great everyone enjoyed them. Today we are doing country back ribs. I will want to make sure my ribs do not lose their juices. Love BBQ. 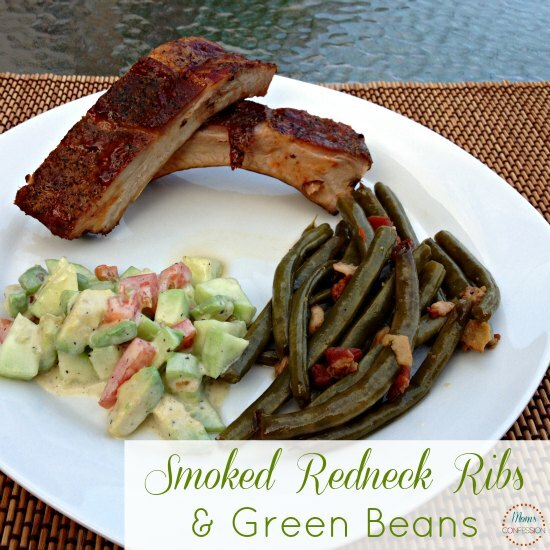 Could you smoke the green beans with the ribs? I haven’t experimented with that before, but I’m sure it’s possible. What kind of marinate do you use for ribs? We usually use a dry rib rub instead of a wet marinade on our ribs. Is there a way to modify this and cook longer? Like is we cook at 225, can we smoke for 2 hours to pack in more flavor before wrapping with foil? Sure, you can try that Tyler! You just want to make sure the internal temperature reaches 165°F. I bought this smoker 2 yrs ago and love it. I’ve “dried ” sausage and make jerky and ribs & chicken on mine. I like hickory chips but have used cherry too. I’m going to try your recipe, it sounds good. I’m from Tx too, not far from Houston. First time using a electric smoker. How long should you cook and at what temps for your foods. Glad you enjoyed them Ted! I only keep the chips in the smoker for the first hour or so and I only put water in before I begin the smoking process of my ribs, brisket, etc. i was looking at both the rib and the brisket recipe. can i do both at the same time? Sure! We have done it! The biggest thing to remember is making sure the meat reaches the correct temperature so it’s completely cooked. Let me know how it goes! I use whatever I have on hand, which is usually Heinz 57 or A1 steak sauce. I love this recipe. I unwrapped mine, rubbed more sauce on, then threw them back on the rack for about 20 minutes. They turned out amazing! Thanks!